Lauren Oliver, Young Adult author of the best-selling books Delirium and Before I Fall, has taken the middle grade reading world by storm with the newly released Liesl & Po, a story of adventure, ghosts, family, and friends. With a gorgeous raised cover and deckle-edged pages, along with beautiful illustrations by Kei Acedera, it's a work of art and obvious to fans that Lauren Oliver's new venture won't be her last. Locked in the attic by her stepmother for months while her father is sick, Liesl keeps herself company by drawing pictures by her window. When her father dies, she gives up her drawing completely, but before a week has gone by, Po and Bundle show up in the attic. Liesl's not sure if Po is a boy or a girl, and if Bundle is a cat or a dog. One thing she's certain of: They are most definitely ghosts. In exchange for Liesl to begin drawing again, Po will try to find her father on the Other Side and pass the message that Liesl loves him. And while Po does find her father, it's the message that has to be delivered back to Liesl that is even more important: He wants to go to the willow tree. Immediately, she knows it's their old house he's talking about, so she escapes from her attic to take her father's ashes there. Little does she know that the box she thought was carrying her father's ashes is actually carrying powerful magic and the little mix-up was because of Will, a boy Liesl meets after her escape. Together with the ghosts Po and Bundle, they begin the journey back to Liesl's old house to help put her father to rest, encountering one adventure after another along the way. I won this Advanced Reader's Edition from the author's blog a few months ago and can't believe I didn't read it sooner. Let's face it, Lauren Oliver is a fabulous writer and this example of her work is no different. Set in an unknown city in a world that hasn't seen the sun in over five years, the story has a successful and beautiful mix of magic, humor, ghosts, family, and friendship. With descriptions evoking a sense of loneliness and sadness, combined with gorgeous illustrations, Liesl, Po, Bundle, and Will are at the heart of a very sad, but hopeful and sweet children's story. Since I didn't read it right away, I sent it to my nine-year-old niece, "E." Even though I thoroughly enjoyed this book and recommend it to middle grade children and older, why listen to me? Take it from my niece, "E," who wrote the below answers herself. About the interviewee: "E" is nine-years-old and lives... somewhere in the world. She likes her dog, her guinea pig, school, ballet, and gymnastics. She reads all the time, too. She likes books that are about magic and history. Question: What's your favorite part of the book? E's Answer: When Liesl gets Po to help her escape from the attic when they bring her breakfast up! The maid thinks it's creepy when she has to go into the attic. And instead of her just sleeping in her bed she is sitting straight up and Liesl is like hello, and then the ghostly figure pops up and says boo! The maid is very frightened and Liesl and Po get to sneak out of the room and escape. Question: What did you think of the illustrations? E's Answer: I really liked the illustrations and it was all in black and white but it should be because their world has no color anyway! And one of the illustrations I liked a lot because it showed Po and Bundle and you really got the idea of what they looked like in their shadow form. E's Answer: My favorite character is Po. I like how he sometimes will have a different perspective than Liesl. Liesl will think something and then Po will think differently about it and I also like how Po communicates with Bundle without even speaking out loud. Question: Would you read another book by this author? 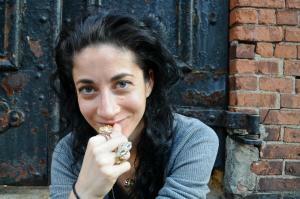 Lauren Oliver was previously an editorial assistant at a publishing company in New York. A graduate of the University of Chicago and the MFA program at New York University, she is now a full-time writer and lives in Brooklyn, New York. 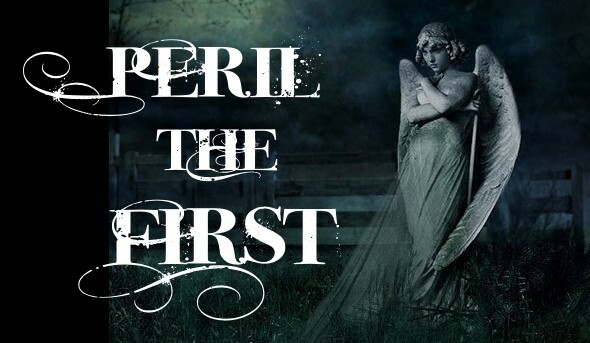 Before I Fall is her first novel and Delirium is her second. Liesl & Po is her first middle grade story. Follow her on her blog by clicking here. 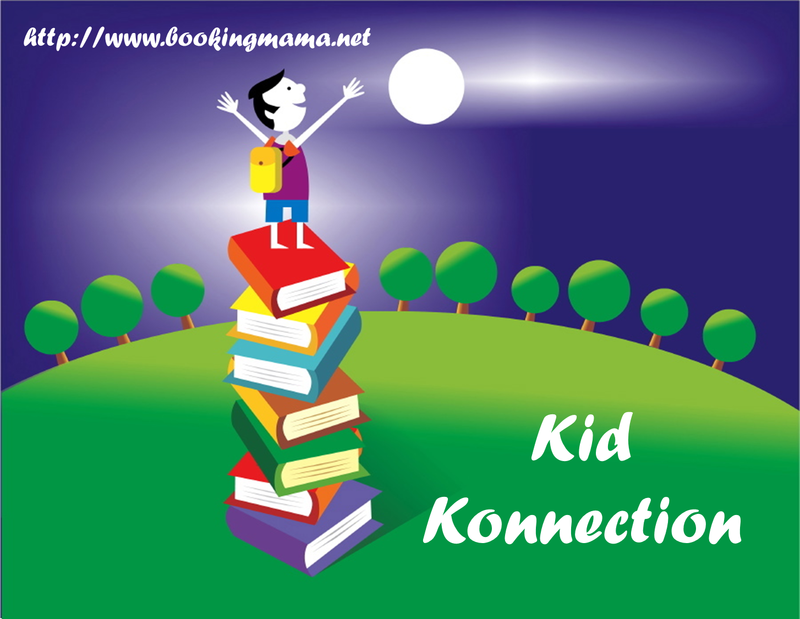 Kid Konnection is a weekly feature hosted by Booking Mama. I'm posting a little early for my first time participating in this meme, so click here to see more of this week's suggestions for children's books (YA, middle grade, or picture) from participating bloggers. This is my sixth selection for Stainless Steel Droppings' hosting of the RIP Challenge VI. You can read more RIP reviews from other participants by clicking here. I'm going to need to send this one to my nephew. I think he'll really enjoy it. Great review! I've been seeing this book around, and I never even noticed it was by Lauren Oliver. It sounds fabulous. Aw live the interview with your niece! This book sounds so fun and the illustrations look great! I heart Lauren Oliver so I would read this, even without the deckle edge! (Although I do love my deckle edge.) I'm thrilled that Oliver is getting into another age group. I wish her lots and lots of success. I loved the interview with your niece...very cute! Love that your niece helped you out with this one! The book sounds like fun, and I'll bet my niece would love it, too! Adorable review. Your niece is SO cute. I love the sparkle in E's eyes! The book sounds wonderful! I'm adding it to my wish list. 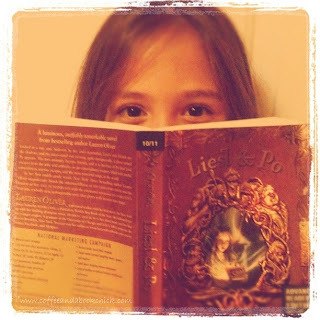 You are so lucky to have won the advanced reader's copy! And Kathy is so correct - "E" does have a twinkle to her eyes! She is a fantastic interviewee! And Lauren Oliver...well, she is simply amazing. I love that you included E's impressions on this one! I really loved Before I Fall and will be reading Delirium very soon as well. Oliver has a great handle on character creation and creates really interesting plots as well. Glad to hear that this book was such a great success with E and her auntie! Thanks for sharing this wonderful review!